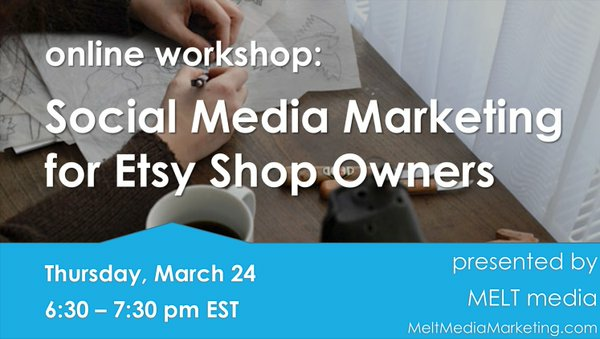 Figuring out the best ways to use social media to promote your Etsy business can be tricky, especially when you're first starting out. This workshop, hosted by Katelyn Davis, answers all those questions as well as examines the audiences of each channel and the best way to reach them and Katelyn will divulge proven ways to increase your sales with some simple social media tricks! Log-In Information: You will receive an email including log-in information for the online workshop at least one week prior. This workshop is led by Katelyn Davis, a successful business owner on Etsy that, thanks to her social media outreach, was featured during New York Fashion Week just six months after her first sale. By day Katelyn is a seasoned, award-winning communications professional working with start-ups and small businesses to Fortune 500 and 100 companies. You can find her on Twitter as @katelynshelby.